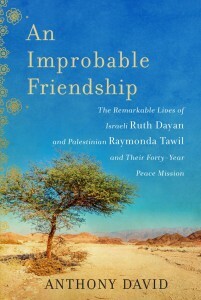 It’s easy to see “An Improbable Friendship,” Anthony David’s dual biography of Israeli Ruth Dayan and Palestinian Raymonda Tawil, as pro-Palestinian, if not anti-Israeli. David never misses an opportunity to let the air out of popular beliefs about Israel’s foundations and founders. Instead of an outnumbered, outgunned Jewish people miraculously winning independence against the might of the combined Arab armies, he shows us Arabs driven from their homes in places like Haifa before any foreign armies could act, and Jewish families moving into vacated mansions. Anthony David provides a revisionist view of Israeli history. Instead of the heroic, one-eyed Moshe Dayan brilliantly winning battles against overwhelming odds, David focuses on the Dayan who destroyed Arab villages, pillaged thousands of years of archaeological treasures, cheated on his wife and his mistresses alike, and was something between an indifferent and cruel father. Instead of the Six-Day War as a glorious triumph of pre-emptive self-defense, David presents a war in which Israel took advantage of Nasser’s empty bluster to knock him down, then battered Jordanian and Syrian forces that had no desire and little ability to fight. 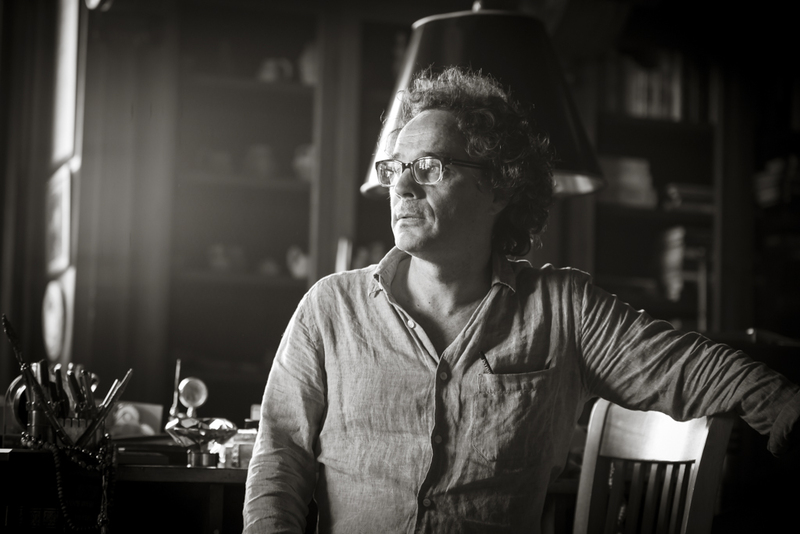 David, an American historian who settled in Jerusalem after falling in love with life there while researching his doctoral dissertation, said he relied on revisionist historians to fill in the details behind the life stories of his two heroines. 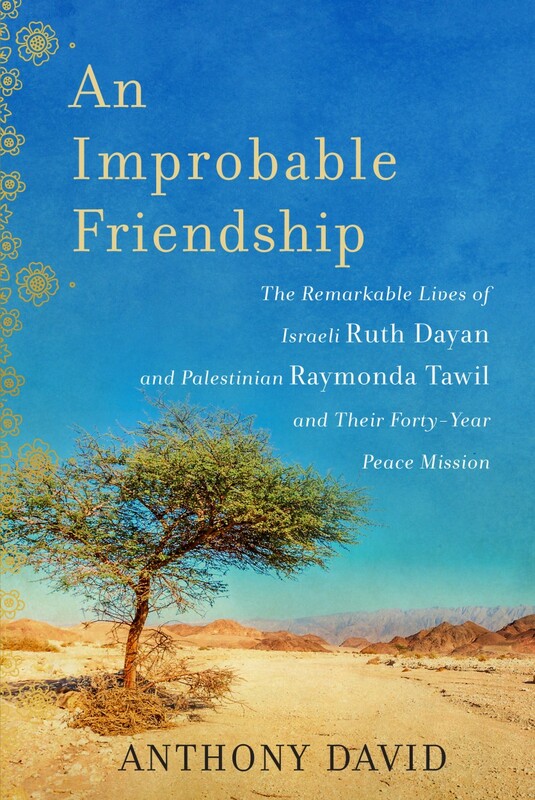 If you don’t want a revised view of the heroic era of modern Israeli history, if you don’t want to consider the Palestinian perspective of 1948 and 1967 and the failure of Oslo, don’t read “An Improbable Friendship.” It will leave you frustrated and angry. But if you’re interested in the unexpected perspective of two women who spent decades near the center of Israeli-Palestinian events and you’re not expecting comprehensive history in 300 pages, David tells the story of what both sides have lost and what he says the nationalists on both sides refuse to acknowledge was there. Dayan, now 98, was born into a cosmopolitan society that mixed religions and ethnicities in World War I Palestine. She gave up the city life to be a farmer’s wife when she married Dayan. The woman she considers a kindred spirit, Tawil, was born almost a quarter of a century after her to a Christian Palestinian-American mother and a man whose wealth and influence led the British to see him as a prince. The key to their parallel lives, which led to their meeting and bonding for life in 1970 in the West Bank, is that “they’re both trying to capture the Shangri-La of their youths,” David said. 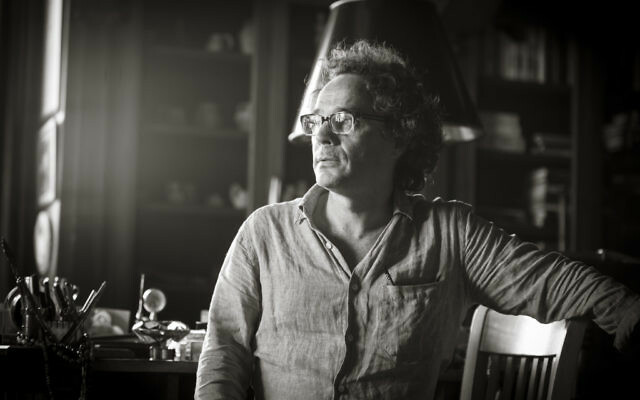 He has ghost-writing experience, and David said that after Dayan invited him to her apartment under mysterious circumstances and revealed that she and Tawil wanted him to write their story, the initial idea was to create a dual autobiography to express their views about coexistence. Dayan, for example, “doesn’t call herself a Zionist anymore, but she’s still an Israeli. She loves her country,” David said. She just wants some sort of peace settlement, whether two states or one, that enables Arabs and Jews to live together. 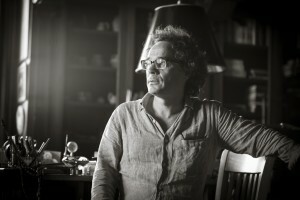 He decided to abandon the first-person approach out of concern for the opportunity for Dayan’s daughter, Yael, to alter or block the book’s content. It was a lesson he learned when, early in the work on what became “Improbable Friendship,” Dayan’s son Assi was arrested in a domestic violence case and charged with attempted murder of his girlfriend under a law Yael had championed in the Knesset. Observing Assi’s saga of jail and house arrest for eight months while fighting the charge, David wrote a book about the case from his perspective, which downplayed the violence and included lots of criticism of Moshe Dayan. Shifting the Dayan-Tawil book to the third person didn’t remove Yael from the process but did limit her ability to censor the story. In the end, the perspective of Dayan and Tawil is the book’s strength and its weakness. As Moshe Dayan’s first wife, as the mother of children who played leading roles in Israeli culture and politics in their own right, and as a woman who vividly remembers key moments in Israeli history going back to the 1925 riots, Ruth Dayan is a woman worth knowing and has stories worth hearing. But those stories don’t involve violence against Israelis. She lived away from the front lines, and her husband in the War of Independence spent more time as an administrator in the Jerusalem area than as a leader fighting Egypt for Israel’s survival. Tawil’s family was torn apart in 1948. Her father was ruined. Her home was lost. She wound up largely being raised in convent schools and eventually gave up her Israeli citizenship to cross into Jordan and join her brothers. Telling the contrasting stories of these two women thus creates a sense of tragedy on the Palestinian side and conveys Dayan’s increasing disillusionment with her own country. “Ruth felt less and less that this was her country after 1967,” David said. She was happy that Israel won and that the victory allowed her husband to remove the borders dividing Jews and Arabs in Jerusalem and the West Bank. And she understood that mercy would not have been part of an Arab victory. Dayan began to spend more time abroad, from an extended visit with Albert Schweitzer in Africa to work across Latin America to establish businesses of women doing handicrafts, building on a model she established decades earlier in Israel for Arab and immigrant women to support themselves in the clothing industry. She thus fades as a central character in her own book soon after forming the friendship in the title. She instead becomes a supporting character, almost a human deus ex machina who appears whenever her friend Tawil needs help to get things done in her human rights activism across and beyond Israel. David said Dayan’s reduced role in the second half of the book is compensation for her dominance early on, but that pre-1967 centrality is tempered by the youthful emotions of Tawil’s narrative. Tawil is the dominant character from the mid-1970s through the mid-1990s. We see the conflict, the wars and the peace efforts through her perspective. We also fail to see the impact of Palestinian terrorism. Where Moshe Dayan is the dominant Israeli man in the book, the key Palestinian man is Palestine Liberation Organization Chairman Yasser Arafat, and David acknowledged that Arafat’s portrayal offers another opening for the book’s critics. Arafat eventually married Tawil’s daughter, but Tawil lacks the firsthand knowledge of Arafat and his activities that Dayan has about her ex-husband. While David creates an ugly portrait of Moshe Dayan — he said he had to cut 100 pages, including some of the worst material, because he didn’t want the book to become a biography of the general — he offers a benign picture of Arafat because he chooses not to report rumors. Before becoming his mother-in-law, Tawil had little contact with Arafat, so she romanticized him as a leader working for his people’s freedom, not a terrorist or embezzler or incompetent administrator. That’s the man portrayed in the book. Tawil’s image of Arafat evolved after her daughter married him against her wishes. She got a closer look at how ineffectual he was as a leader, and she was frustrated in her efforts to make women’s rights part of the Palestinian cause. She also was blocked from continuing her independent activism. The era of Tawil and Dayan standing on the front lines of history ended on the cusp of the Second Intifada, so little of the past 15 years appears in the book. In the 1970s, Tawil traveled freely through the West Bank and Israel to serve as an activist and as a mediator, but after 2000, such travel was impossible. Separation became the rule.